You can honk your own horn! “Excuse Me” is the final track on Alison MacCallum’s album of the same name, which turned out to be her last. A powerfully-voiced Australian blues/rock/soul singer, she released a couple of well-regarded albums, but is best remembered nowadays as the vocalist of the successful “It’s Time” jingle which emotively helped Gough Whitlam to victory in the 1972 Australian federal election. The single was issued in 1974, and the album in 1975. The single and its B-side are a pair of opposites – one an expression of love, the other a diatribe about a failed relationship. “Excuse Me” is a lush number arranged in the mid-1970s manner, telling us how much she misses her other half. It’s rather unfair to say so, as the song predates Sherbet’s, but during the orchestral build-ups you may half-expect her to start singing “how-ow-ow howzat!”. The B-side, “Honk” was not included on the album, making the single that much more attractive. And it’s pretty racy! A song of scorn directed at an ex-lover, the double entendre is not exactly subtle (it is on the Albert label) – “you can honk your own horn!”. Moving on. Chubby Checker was no one hit wonder: he had lots of hits, including a million-seller or two, over a period of about three years in the early 1960s. But he did extract maximum leverage from one key idea. His first big hit was “The Twist”. This was followed by the even bigger hit “Let’s Twist Again”. Then came a soulful, slower number. “Slow Twistin’”. But nothing wrong with that. Checker’s bubbly, exuberant R&B dance tracks – all them twisters and also “The Limbo Rock” – are wonderful, life-enhancing popular music. They are still played, still popular. 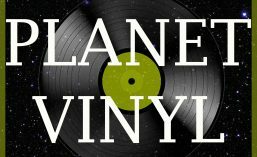 Consequently, you won’t hear them on Planet Vinyl. We are into Found Sound, not the stuff we already know. So, tune into this, the B-side of “The Twist”. It is a double entendre song about a young woman who rides a Vespa and has, well, attributes. A subtle feminist critique of patriarchal exploitation? Not so much. But just go with it: hop aboard the motor scooter and squeeze that horn.